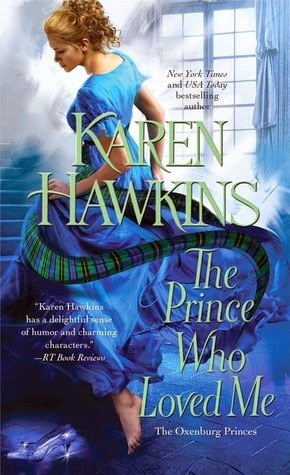 The Prince Who Loved Me by Karen Hawkins. This is book one in the Oxenburg Princes series. Bronwyn Murdock, a bookish spinster, is surprised by a small dog coming out of the nearby forest interrupting her quiet time reading by her favorite tree. A woodsman soon follows and and Bronwyn is intrigued like never before, especially when he kisses her before leaving. Bronyn soon learns that her woodsman is really Prince Aleksey Romanovin from Oxenburg. When she overhears him talking to a friend about using her to get his grandmother to stop wife hunting for him, Bronyn decides to turn the tables on him. She will make him fall for her and then let him know that she knew of his plan. But what happens when the feelings become all too real for both of them? As always, Karen Hawkins has done a masterful job of storytelling. 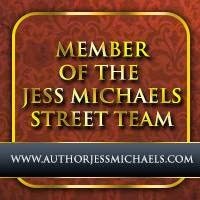 In her latest book, a twist on the Cinderella story, she introduced us to a whole new set of characters that you will fall in love with. Even though Aleksey was a prince, I thought he was pretty down to earth. Grand Duchess Natasha, Aleksey's grandmother, loved her!! Being a bookworm myself, I totally related to Bronwyn. She had the best attitude! She finds out that that the prince is using her and she turns the tables on him, LOL! I loved Aleksey and Bronwyn together and hope that we see more of them in the rest of the series. Thanks go out to Pocket Books for a copy of the book for an honest review.